Used by Pest Control Professionals to remove dead animal smell, urine and feces odors associated with infestations. Earth Care Bags do not have to come into contact with dead rodent or odor causing agent and works even without dead animal removal. Bags are easy to use and last an average of 3-4 months in use and contain no chemicals, toxins or fragrances. 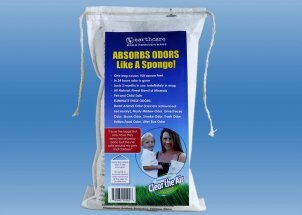 Simply place the bag near the odor and in 24 hours the odor will be gone. Earth Care does not mask odors it removes them. Its contents are bio-degradable, non-flammable, non-toxic, safe around children, pets, & mother earth. Earth Care's natural odor eliminator bag can take from one hour to several days to work, but it is very effective since it removes dead rodent odors versus masking them. It is simple to use and cost effective. 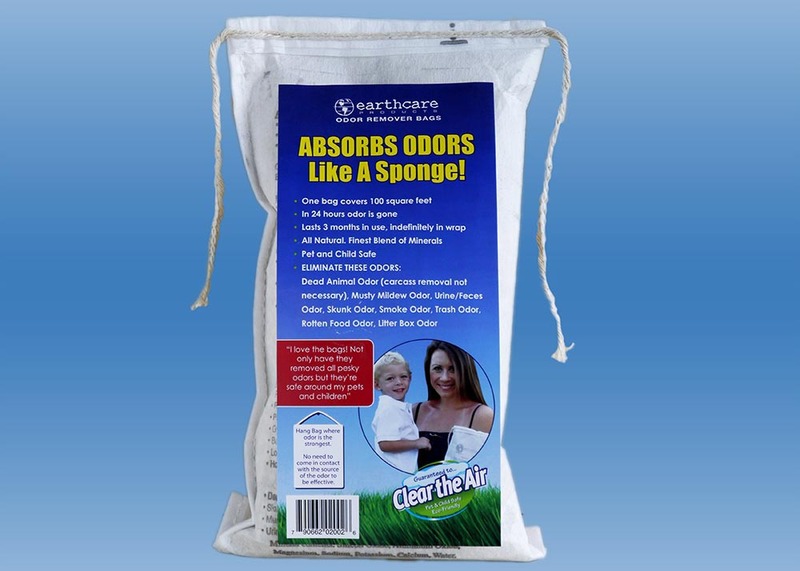 Be sure to order a minimum of 3 bags to get rid of dead animal odors! Click Here to learn more about removing dead rodent odors.